Let’s be perfectly clear about what it takes to be classified as best performance cars 2011. In a word, it’s performance. Whether the horspower and taut handling are packaged in a coupe, convertible, or sedan is irrelevant – performance is the name of the game. As such, we’ve assembled a list of worthy contenders for inclusion as best performance cars 2011. With prices ranging from modestly expensive to pretty high on the big bucks score, they’re all winners. hood of the CTS-V sedan also powers the 2011 Cadillac CTS-V Coupe. But what a package. Not only does it look stunning, CTS-V Coupe also performs just as well as it looks – maybe better. Car and Driver named the CTS-V one of its 2011 10Best Cars, saying: “These are hard-core performance cars, but they are also Cadillacs, with all the seamlessness, refinement, and content that implies.” Starting manufacturer’s suggested retail price (MSRP) for the 2011 Cadillac CTS-V Coupe is $63,465. why. 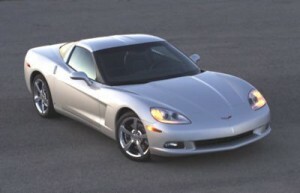 Edmunds comments: “The 2011 Chevrolet Corvette can bring the heat. The base car is extremely fast; the Z06 terrifyingly so. As for the ZR-1, any car whose speed at the end of the quarter mile approaches 130 mph is just in a different league – the ballyhooed Nissan GT-R trails trails the ZR-1 by a full 10 mph here.” The 2011 Chevrolet Corvette is available in base, Grand Sport, Z06 and ZR-1 models. Power output ranges from 430 horsepower (base and GS), to 505 horses in Z06, to a stratospheric 638 horsepower in ZR-1. Starting MSRP ranges from $48,950 to $109,800 for the ZR-1. of the greatest supercars ever built. 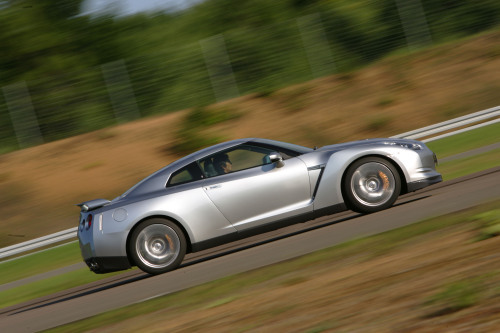 Even more amazingly, the GT-R costs only about half of what most of its competitors do.” The $84,060 base MSRP GT-R boasts a 485-horsepower 4.8-liter twin turbocharged V-6 engine that does 0-60 mph in a scant 3.3 seconds. Side and side-curtain airbags are now standard on the 2011 GT-R. EPA-estimated fuel economy is 15 mpg city/21 mpg highway. Not bad at all for a super-performance car. Shelby GT500 Mustang – Shelby raises the stature of the V-8 Mustang to awesome heights, by virtue of its 550-horsepower 5.4-liter V-8 engine. Automobile comments: “For 2011, the Shelby GT500 is just plain awesome. Really, it was awesome last year too. But now it’s 200 pounds lighter than the 2010 model, thanks mostly to an aluminum engine block…Any car nut can appreciate the heritage behind the name, and the car is an absolute riot to drive.” All this for a starting MSRP of $48,645.